MXCNAS by Sergio Muñoz, Cintia Soto. “Female chefs have been sidelined by a misogynist media in Mexico and the US that tends to only talk about the same male chefs time and time again,” Sergio Muñoz, writer, businessman, and financier recently shared with us. His new project, MXCNAS (pronounced Mexicanas), focuses on female chefs in Baja California, telling their stories via first-person narrative and a series of elegant photographs by collaborator Cintia Soto. Muñoz’s goal with MXCNAS is to elevate the image of female chefs working in Baja California – and eventually all of Mexico – to match the reputations of their better-known male counterparts. He plans to do this via the online series, as well as a book, film, and other media outlets as the project gains support. 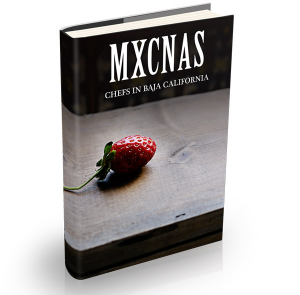 The first chapter of the English language version of MXCNAS will be released on January 26 and focuses on Sabina Bandera of famed street food cart La Guerrerense and Restaurante Sabina in Ensenada. Sabina Bandera. Photo Cintia Soto. When I was seventeen, I used to go help my aunt in the Molino (mill for grinding corn). I didn’t care for the classroom, I preferred being out in the field. I helped grow, fumigate, and tend to the plants that we were cultivating. We grew peanuts, corn, and watermelon in October. When we had a good crop, I would go out and sell on the street and in the markets. We had wholesale accounts as well. Sometimes we sold it from the trunk of the car. I worked with my father from six in the morning until seven at night and I wouldn’t get tired. 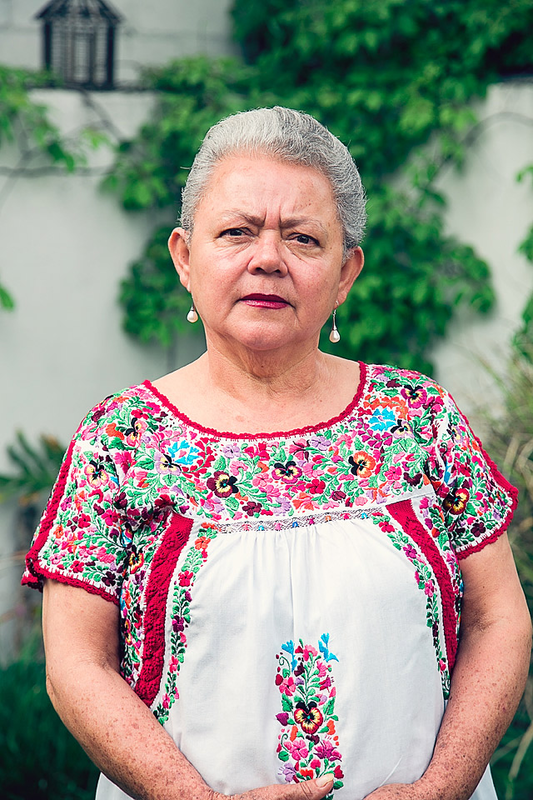 To-date, the stories and photos of 25 female chefs in Baja California have been completed, including Adria Montaño, Esthela Martínez, Flor Franco, Nancy Leon,and Solange Muris. Dish by Solange Muris. Photo Cintia Soto. For more information on MXCNAS, or to pre-order the upcoming book, visit www.MXCNAS.com. 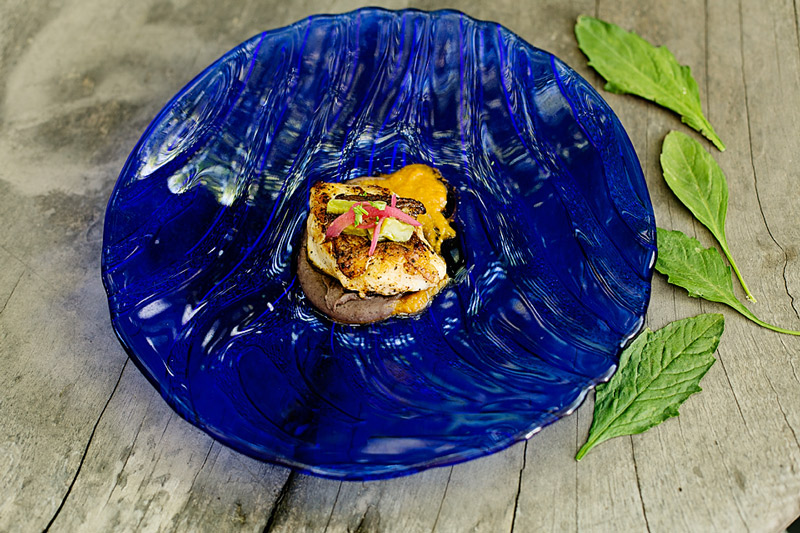 Hola, Scott, Maybe I missed it in your article, but don’t forget about our prize-winning chef Bo Bendana of Kazbar Mi Casa Supper Club in San Antonio Del Mar, TJ, Baja CA. I enjoy all your posts.